Looking for something to do this weekend in New Orleans? Are you a big fan of Nicky Romero or 4B? We’ve got you covered! 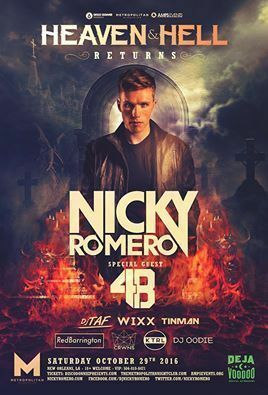 On Saturday, October 29th, The Metropolitan Nightclub is hosting Nicky Romero in New Orleans with 4B for a unique experience that is sure to spice up your weekend! The musical talent doesn’t stop with Romero and 4B, however, because there are more acts to expect! Even if you can’t make it this Saturday, The Metropolitan Nightclub is still an experience not to miss out on, here’s a closer look! After the typical events of a Saturday in New Orleans begin to clear, and the sun begins to set, if you want to have a unique musical experience in New Orleans be sure to come out to The Metropolitan Nightclub to have one of the best Saturday nights of your life. Come experience the fun and lively atmosphere, mixed with that famous New Orleans flare! The musical talent continues beyond Nicky Romero and 4B. You can expect to see performances by DJ TAF, DJ Wixx, TINMAN, Red Barrington, CRWNS, KTRL, and DJ OODIE! Get your tickets to see Nicky Romero in New Orleans today by visiting The Metropolitan Nightclub website, and don’t forget your Halloween costume! The Metropolitan is a club in New Orleans unlike any other, and every Saturday evening, it transforms from a two-story warehouse to a home for exciting nightlife and fun. One of their more interesting features is that you can experience two different worlds when visiting the Metropolitan. In one room, you can dance to Top 40, Hip Hop, Mash Ups, and even Rock and Pop, while another room plays House music, Electro, Techno, Dubstep and Breaks. Forgetting about your problems and the outside world for just an evening will be easy when you’re immersed in the intelligent lighting, strobes, and smoke machines that are strategically utilized in order to bring you the best experience. The Metropolitan Nightclub also comes with a few amenities to enhance your experience. 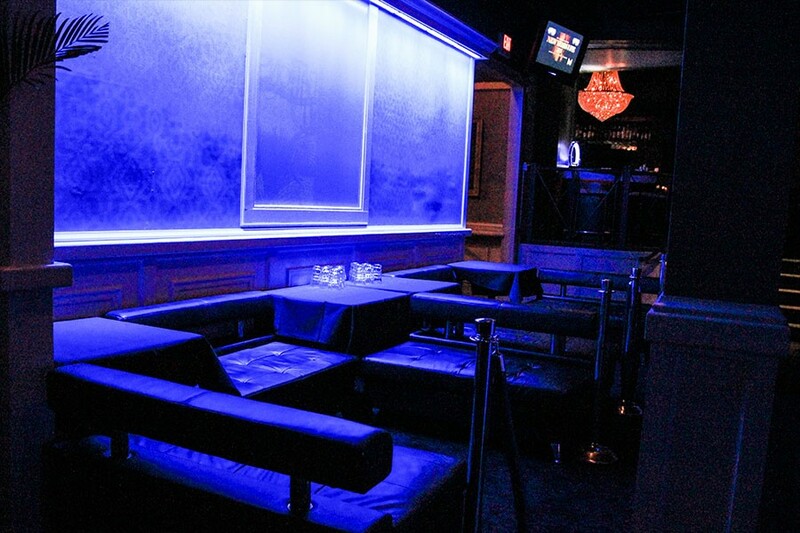 Go all out with your party with bottle service, coat checks, valet parking, and even fourteen different VIP sections that allow you the exclusion you want, but without shutting you completely out of the fun! You can even make a reservation for a VIP area or check availability by using the Metropolitan Nightclub website, or by giving them a call! The Metropolitan can also host private events for whatever celebration or party you may want to have. There are three spacious rooms that could be rented separately for a more intimate gathering, or even as a whole for a bigger celebration, including The Main Room, The Middle Room, and The Big Room. 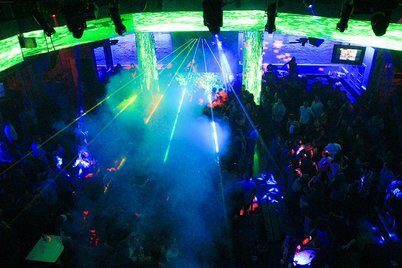 Whether it’s a special birthday, alumni event, or even a wedding reception, the Metropolitan Nightclub can do it for you, and make sure that you and your group have an unforgettable time! « Previous: Andrew Rayel is Coming Soon to the Metropolitan Nightclub!